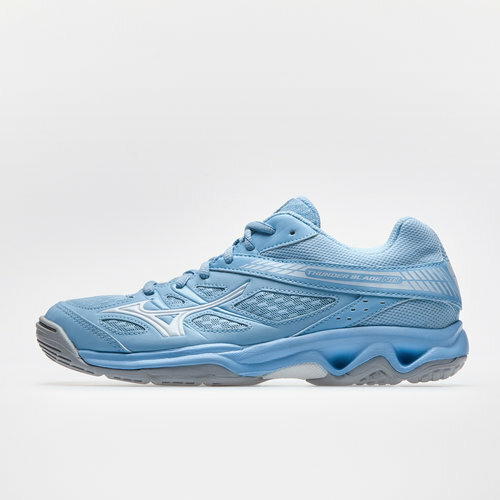 Now that winter is here, check out these Mizuno Wave Thunder Blade Netball Trainers in Cool Blue and White. Anatomically engineered to be quick. The non-marking court ‘gripper’ is designed with a Wave shaped midsole and Airmesh upper - giving you optimum comfort and breathability in every move. Built as a technical shoe, enjoy aggressive traction and extra cushioning as you get up and down the court on offence and defence in these trainers.